The integration of Chatbots inside Microsoft SharePoint is becoming more and more critical for the near future. As per the latest trend, I am going to share the mechanism of integrating Chatbot inside Sharepoint. 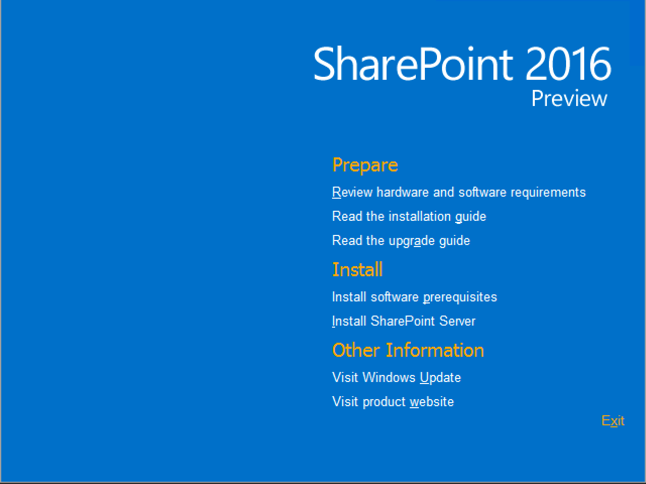 Here, you can explore the usage and authentication to allow deep integration in Sharepoint. Our solutions will show how you can incorporate a bot chat inside a modern SharePoint. This article will solve all your queries regarding Chatbot Integration in SharePoint. Make easier your employees gather information. A user’s intention can be readily get determined with the help of LUIS model. If you want to create, connect and deploy an AI bot that automatically interacts, uses our integration services. We offer a broad range of chatbot integration services for creating chatbot frameworks such as IBM Watson, Microsoft Bot Framework. Sharepoint enables a user for LiveChat. SharePoint web-dependent software is get desegregated with MS office. So, the chatbot integration in SharePoint solution can improve the flow of information in your company. Moreover, the chatbots have gone orthodox in recent years. How Can We Create a SharePoint Intranet Bots? 1. What is SharePoint Chatbots? A Sharepoint Chatbots permits to gain the computed information what they are conversing with another user. Now connecting chatbot to SharePoint is also possible through MS bot framework or you can hire a chatbot developer. Find compatible chatbots with recent SharePoint updates online (Office 365). By connecting MS Bot Framework to SharePoint Online gives authority to access and read all custom lists. SharePoint is nothing but a collaborative platform that offers an intelligent intranet. As you can see, most users are using fewer amounts of mobile apps. They all want to go with a more convenient way to interact with others. On the other side, a chatbot is a powerful tool for engaging with other employees. Chatbot integration provides chatbot conversational solutions. Intelligent chatbots can be integrated here for understanding user intents. Chatbot integration with ERP system helps an organization to be more efficient. Now users can easily and quickly access all documents stored on share points. For instance, if any user is seeking account related details, then the data is easily accessible here. Documents stored on share points can get transferred from dynamic CRM to a public domain in the customer service area. In this area, you can easily customize your site to deliver personalized content. Sharepoint integration requires less amount of money for creating live chatbots because it deducts the need to buy additional CRM license for non-CRM users. Sharepoint integration doesn’t give access to retrieve the user’s information. It seems extremely useful for businesses. The account access is quite safe as it requires administrative permission. We can use LUIS as well as natural language processing model for integrating a Chatbot with SharePoint. First, we need to register the bot with Microsoft bot framework. Nowadays companies are building lots of bots for handling different tasks. Office 365 is a standard solution for every business. It makes it possible to bring bots in your Sharepoint websites. We are now able to integrate bots with Office 365/Sharepoint online for extra benefits. We can develop bots for Microsoft Sharepoint to handle all upcoming events. Not only this, a user can quickly get access information without opening the portal on PCs — all you require to give the exact command so that they can fetch the right information for you. Many times, we see that some frequently asked questioned are get listed on a public website. These questions help the visitors to find the right choice for their website. But now webchat facility enables a user to directly type their search query despite reading a long list of questions. Sharepoint chatbot allows a user to type question to return a best-match answer directly. With SharePoint, get numerous FAQ applications accessible by MS Office 365 to expand your list of SharePoint. We can even type in our question to get an answer via utilizing a Chatbot in SharePoint. The Chatbot is itself a SharePoint web part to which we can join to all its pages. The Chatbot will get loaded when the pages as a web part will get charged. Now question like what happens while carrying the chatbots to a whole new level. Along with this, the conversation will lead to a different level. The conversation interface will take into digital platforms. The answer to such questions lies in Native Chatbot Development where users interact with the browser. Typically, a bot takes help of Artificial Intelligence (AI) to understand the user’s intent. After that, bot responds like a living person. Additionally, a SharePoint developer with SharePoint Intranet can allow a bot to pick the data from the calendar. The SharePoint based intranet portals provide a better way of conversation. SharePoint integration with ChatBots enables your employees for quickly finding information. Apart from that, bots are not only customer-oriented technology these days. The majority of business owners are quickly developing bots to manage several business processes. The intelligent chatbots are rapidly growing in the market. The SharePoint based intranet portals offer a better way of interaction between enterprises and employees. The integration of SharePoint solutions enables a user to access the site details without login. Also, consolidating SMS aid with intranet supports clients to converse with the chatbots even if they are not online. First of all, list the chatbot on its frame. Now create a customized thesis to access the SharePoint website details. Install your Bot in Azure. Configure it for any of the best courses. Start a conversation with your Bot and ask information. 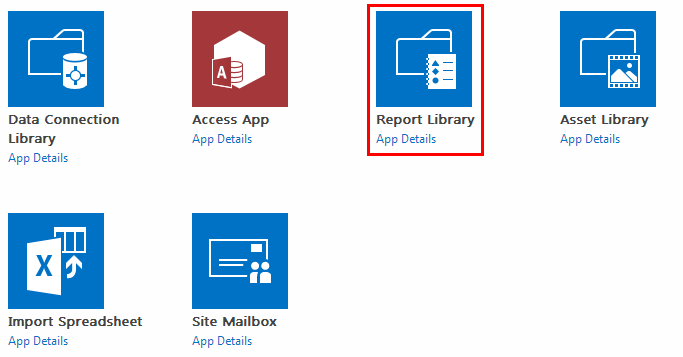 Approve SharePoint Online to relinquish the details with SharePoint API & further permit it. Collect the data to display in the bot. Bots are insightful operators that are conveyed on various channels like Skype, Facebook, and Slack and so on to give data to clients and workers. Microsoft chatbot gives a bot structure to enable clients to create bots. It allows the clients to cooperate and get the figured data merely like they are bantering with someone else. Bot Connector Administration associates with social channels like Facebook, Slack, Skype, and Twitter and so forth. We can likewise utilize LUIS as the Regular Language Preparing model. For consolidating a Bot with SharePoint, the primary action is to register the chatbot with MS Bot System. It enables us to utilize the bot system, and we can design the bots specifically on different channels. We can furthermore possess features such as OAuth for SharePoint authentication. Get the required data and show it in the bot. We can look through the records of archive library from the bot specifically. We can transfer the archives to the report library also. We can utilize SharePoint seek usefulness specifically from the bot. We can scan for clients, reports, locales and so forth from it. We can see the rundown of pending errands and can favor them too. We can make the undertakings whenever required straightforwardly from the bot and allow it to different clients. We can get informed by the bot when the work process gets started. We can support the work processes also. Timetable and meeting the executives are exceptionally advantageous with bots. We can get told by the bot for forthcoming occasions and meetings. We can make the gatherings with bot structure straightforwardly. We can transfer the records to report library specifically from the bot. Consolidating chatbots with SharePoint will make it less exacting for your operators to identify appropriate data immediately and moreover increase the extent of your intranet gateway. To find out about how to make this conceivable, you can converse with our SharePoint specialists by topping off the structure on this page. With chatbots emanating such instantly in the business & acquiring to be productive in composing a more prominent intimacy for clients. There is no worry in affiliating them with SharePoint Advancement for frameworks in the industry. The SharePoint-based intranet gateways are automated staple bots which offer a superior method for the association for representatives with the venture. We can choose the MS SharePoint Advancement for most of appreciating the puzzling effort bothers of endeavors. The different prevalent intranets and extranets are receiving the system of incorporating chatbot. The blending of SharePoint combination & chatbots with permits users to get to the data of site without signing in or opening the location. Additionally, joining the SMS administration with intranet, help clients to cooperate with the bot even in disconnected mode. This as well as it likewise helps in having SharePoint validation functionalities like OAuth. Make a practical rationale for understanding the intricacies from a SharePoint website. Bot empowers to look through the archives specifically from the record library and furthermore permits to transfer the files to the library. Bots help to see the pending assignments rundown and permit to affirm them also. We can likewise make the undertakings straightforwardly from the bot and dole out them to different clients. Bots tell the began work process and furthermore permitted to support the work processes. Bots make it exceptionally helpful to tell the workers about the forthcoming occasions and gatherings. We can likewise cause the sessions specifically from the bot structure. Read also: Why Is It Necessary To Stay Updated With The Latest Microsoft Bot Framework? 9. How Can We Create a SharePoint Intranet Bots? Various open sites have a FAQ outline to facilitate fellows to explore solutions to issues they have about the place. Vast numbers of these sites have now added webchat abilities to make it much less demanding to find an answer to their inquiries. It bodes well – why perused a considerable rundown of questions to discover one that coordinates yours? Chatbots now permit a site visitor to standardize in their inquiry explicitly, & the Bot will reestablish the best-regulated answer. So finding a response to a quite specific investigation can be an overwhelming undertaking. Need to look through every one of the inquiries to locate the one answer that matches what they are after. Should not something be stated📑 regarding appending a Bot to the SharePoint-based intranet? Utilizing a chatbot in SharePoint, a worker can type in their inquiry and find a solution. Most workers know about this cooperation channel, so there is next to zero learning required. Sounds extraordinary, yet how’s it done? With the goal that they are consequently accessible for the chatbot to come back to the client. At last to-end cycle, a substance creator will constitute a request and response set to the FAQ file in SharePoint. This rundown can have extra discretionary fields, for example, Rundown Request. It will interface with the QnA Creator Programming interface and incorporate it into the knowledge base. After that trigger the administration’s preparation and distributing occasions. The inquiry and-answer pair is presently accessible for the chatbot to utilize. Can be stretched and rolled around the side not to confuse different sections of the page. Workers connect by composing inquiries in ordinary language, and the chatbot reacts with a coordinating answer. Extra inquiry and-answer sets can be pre-stacked specifically into the QnA Creator knowledgebase for the substance that probably won’t be needed in the SharePoint FAQ list, or to give a touch of new identity to the chatbot. What’s more, that is it – in any event at an abnormal state. There are numerous subtleties in the usage that I have excluded for quickness. The arrangement as of now created takes into consideration different customizations, for example, the chatbot’s name, UI styling, and a discretionary accordion-style web part for demonstrating the FAQ on the page. Criticism and preparing of the chatbot to improve its answers. The cutting edge intranet ought to enable workers – utilizing chatbots representatives can rapidly find solutions to questions using AI that is here today. The more gainful we can make our representatives through their computerized working environment. Chatbots are perfect with current SharePoint refreshes – SharePoint 2016 and SharePoint on the web (Office 365). It is only conceivable because of SharePoint System. When are chatbots such rising the market and catching industry publicity with more great intrigue for clients. It starts a superior way of communication for representatives with great business frameworks. Microsoft SharePoint Improvement is selected to understand convoluted joint effort problems of endeavors. With SharePoint intranet or extranet arrangement, the difficulties get settled. At the same time, 40% of associations face issues of low selection rates of the product arrangement. For managing this, many fruitful intranets and extranets have embraced a method of coordinating smart chatbot. Bot encourage bonds with people by quickly bringing explicit client substance. As Bots are unequivocally mindful of with whom they are talking, so exact data is self-evident. 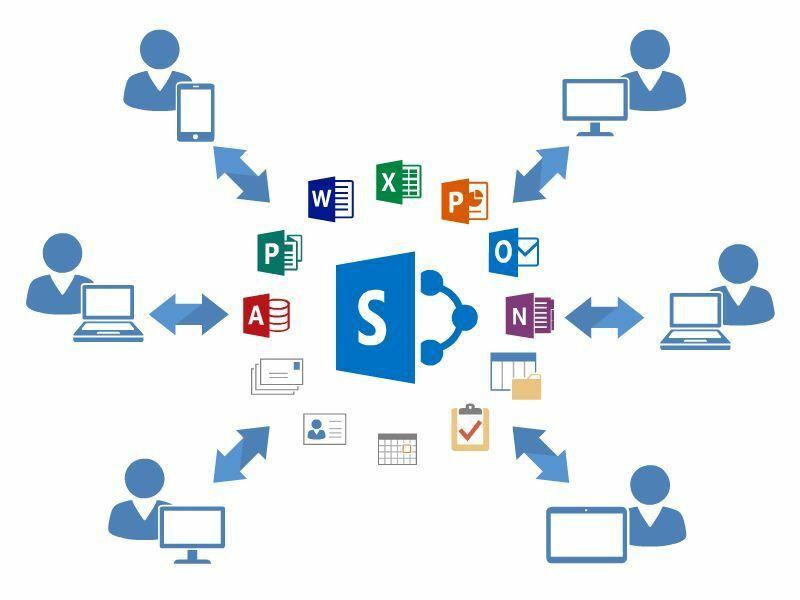 After reconciliation and designing bot with SharePoint Industrial arrangement, a client can get to data of site without signing in or opening the website. On the off chance that SMS administration gets coordinated with the intranet. At that point, clients can even communicate with the bot in disconnected mode. Make Application ID and secret key and Design the bot for the specific channel – Skype, Web Talk and considerably more. To get data from the SharePoint site, include custom rationale utilizing REST Programming interface, CSOM, and so forth. Allows profound make a plunge a few example situations where chatbots can get incorporated to influence the exercises by merely talking with a bot or telling a bot. Look for clients, archives, locales, contacts specifically from SharePoint seek with the bot. Include errand, see pending undertaking and favor it from the bot. Indeed, the company can straightforwardly be allocated to different clients specifically, through the bot. A representative can refresh leave or work logs by letting it known to a chatbot. Chatbot can help in looking through the reports of Archive Library. Indeed, even archives can be downloaded and transferred straightforwardly from the bot. Get informed in regards to the work process and also endorse it through the bot. 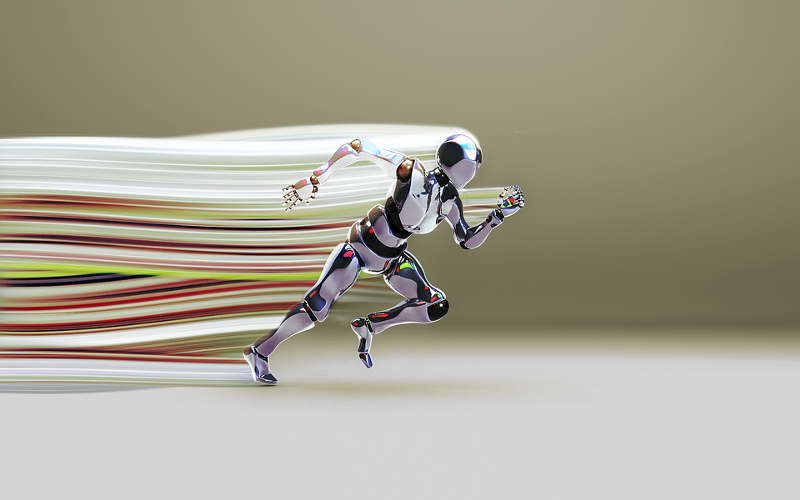 Bots can send speedy warnings for up and coming occasions by alluding timetable. Bots are going about as updates; it enables making and overseeing meeting from bot structure. Chatbots send spring up messages for updates, news, declarations and substantially more. Intranet has pull include as a matter of course. It tends to influence the chatbot by giving splendid client experience. Bots answer rapidly to client’s inquiries & furthermore proposes client view other accessible information. SharePoint-based intranet entries have for some time been a venture staple. As of now, it is understandable to connect both the approaches & have chatbots remaining in your intranet gateway or also a SharePoint-dependent free encountering site. No matter what type of chatbot you are looking to integrate into your enterprise, we are the experts in offering highly reliable chatbot development services. For the last few years, we have satisfied hundreds of clients around the globe with our superior service assistance. We heartedly welcome you to get associated with our team of professional Chatbot developers.